Analog systems are currently the lowest cost surveillance systems on the market, but instead of high definition recording, analog system surveillance can only shoot in standard definition. Closed Circuit Television (CCTV) technology is used by analog cameras, which may seem confusing since the acronym “CCTV” is often used in reference to “surveillance” itself. A BNX Coax cable is used to connect analog cameras. The High Definition Serial Digital Interface (HD-SDI) video interface was introduced back in 2010 as an upgrade to the Standard Definition Serial Digital Interface (SD-SDI) and it created a lot of hype. An HD-SDI surveillance camera makes it possible for a standalone DVR to have megapixel. An existing surveillance system can be upgraded to HD-SDI without having to rerun coax cables. In comparison to IP cameras, which use higher storage and more bandwidth, it makes more sense to upgrade to an HDI-SDI surveillance system, since these cameras use 575kbyte of storage and half the broadband speed. With HD-SDI you can easily transition to more advanced megapixel systems at half the cost. These days, whenever someone thinks about IP cameras, High Definition (HD) video resolutions come to mind. IP cameras are often also associated with words like “megapixel.” Even though each and every IP camera is not megapixel, the use of the term is not wrong since the transmission of the video from an IP camera through the network takes place in digital form. This means that the video footage does not have to be decoded back to digital by the Network Video Recorder (NVR). With a digital video recorder (DVR), ultimately only standard definition video will be viewed on the monitor. It is true that higher video definition can be achieved if a DVR is upgraded to a Hybrid or NVR system so that IP cameras can be handled. However, if you do not prefer a computer-based DVR and would rather have a standalone system, then an HD-SDI surveillance system is for you since it can easily handle higher resolution, including megapixel cameras. High Definition Serial Digital Interface became common and widespread ever since the need to record higher resolution videos arose. HD-SDI made it possible to transfer recorded videos directly to a vide processor from a video camera, without compressing and/or filtering them. Data almost up to 3gbit can be transmitted by this video interface. The output of video transitioning is further increased by HD-SDI and it can output up to a 1080i video resolution. The work scope of HD-SDI was originally limited, as a result of which it was only possible transmit a digital video signal without compressing and/or encrypting it. Ever since the 70s, the world of video surveillance has be dependent on analog system surveillance. No doubt, they are cost-effective, easy to install and use. However, the fact that industry standard analog cameras can only record VGA videos is a major limitation. It is true that getting HD video by upgrading to an IP/Network system can be complicated, costly and quite a hassle, but that was never the case with High Definition Serial Digital Interface (HD-SDI). You will not have to go through the hassle of networking, but you will still be able to take advantage of a crisp, detailed HD video interface. Regardless of your existing surveillance system, it will be feasible for you to switch to an HD-SDI surveillance since the same coax cable can be used that you are probably already using if you currently have an analog system. Just like the SD Serial Digital Interface, a coax cable is also used by HD-SDI along with an impeded BNC connection. When it comes to surveillance systems, this means that it will be possible to run the cable by using a BNC connector and a coax or RG-59. The main factor that distinguishes HD-SDI from standard analog is that you will have to connect an HD-SDI camera to a DVR that accepts HD-SDI video input. Dedicated channels that you cannot use with an average analog camera will be required in order to make a DVR read HD-SDI video, because of the higher video resolution. With an RG-59 cable, at least 100 m video signals can be transmitted by HD-SDI, beyond which repeaters will be required so that its signal is boosted. In comparison to network IP systems, HD-SDI uses existing coaxial infrastructure in order to reduce costs. If you happen to be on a budget, you will be able to use existing analog Closed Circuit Television (CCTV) equipment if you decide to transition to a hybrid HD-SDI system, and you will then be able to add any many HD-SDI cameras as you need. Unlike analog and IP cameras, there tend to be quite a few benefits of using HD-SDI video signal. In comparison to an analog camera, video quality is improved by HD-SDI. 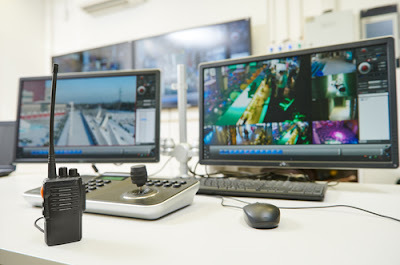 Usually, video footage recorded by analog cameras is transmitted in an electric signal and the video recorder proceeds to decode it to digital data. This means that after processing, once the LCD monitor displays the video footage, its quality tends to diminish to some extent. Once the video is compressed by the digital video recorder and then saved as MP4 on a hard drive, its quality is further reduced. In comparison to analog cameras, HD-SDI transmits the electrical signal through a BNC cable and the video signal is encoded using Non-Return to Zero Inverted (NRZI), so the quality of the video footage is never affected. With NRZI, encoded video can be transmitted back to its original data form. Much like IP cameras, HD-SDI cameras also transmit video digitally. 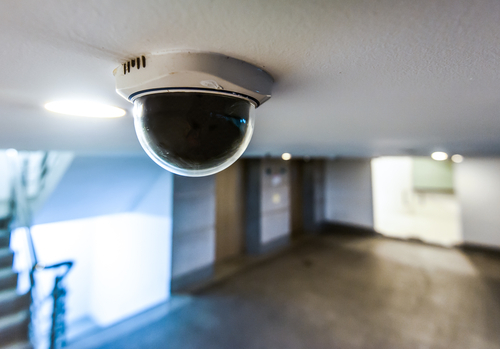 The demand for HD video surveillance continues to grow with each passing day and soon it will replace analog system surveillance. True high definition megapixel video possesses unmatched and unparalled video quality. Thanks to HD-SDI video surveillance technology, the image quality that is delivered is far more optimal conventional analog CCTV. 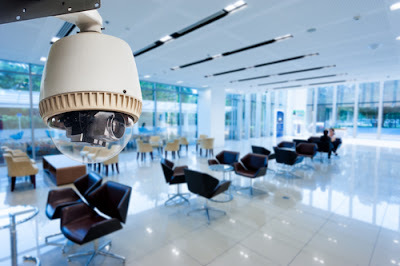 This video surveillance option also happens to be more cost-effective since it can be installed quite easily and can be integrated with an existing CCTV surveillance system.